Help people discover your business by promoting your brand in the Wanaka Sun. Whether you are a new business or an existing business, if you want to reach locals, visitors, tourists and holiday homeowners, expand your client base and increase your sales, you need to be advertising in the Wanaka Sun. Published every Thursday, copies of the Wanaka Sun are delivered free to every urban and rural letterbox across Wanaka, Hawea, Albert Town and surrounds. For ads provided by you: If your ad is print ready we require it by midday Tuesday on the week of publication. For ads created by us: If you would like our in-house designer to create your ad we require your ad content/artwork by 4pm Friday, the week prior to publication. We will take late bookings where possible, but we cannot guarantee we will be able to include your advert if booked past the deadline. The Wanaka Sun is a tabloid size publication. Each page is 7 columns wide and 37cm high. Ad sizes can be any number of columns wide x cm high within the page specifications, and ads are charged at a per column/cm rate. Casual booking rate - $6.50 per column/cm. Fantastic discounted rates are available by negotiation for repeat/term contracts. To get a personalised quote and advice on the advertising options that best suit your needs, please email our advertising team. All prices are for full colour advertising, advert artwork design by our in-house designer and expert advertising strategy advice at no additional cost. Print-ready artwork should be provided as a PDF file created to the exact size specifications of your advert space. No bleed is required on artwork. Over 7,500 copies of the Wanaka Sun are delivered free every week. In addition to the printed copies, over 8000 copies of the weekly paper are seen by our huge online audience. Copies of the Wanaka Sun are also delivered to businesses, cafes, retail outlets, hotels/motels and camping grounds, and it is available from collection points in Wanaka, Lake Hawea, Luggate, Makarora, Tarras and Cromwell. We increase our print run during the peak summer holidays by up to 50%. The Wanaka Sun is the highest circulated weekly newspaper in the area. We offer a large range of traditional and alternative advertising options to suit every need and budget. 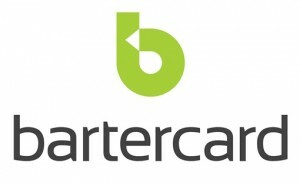 Do you use Bartercard? We accept payment of up to 50% of your advertising costs using Bartercard.